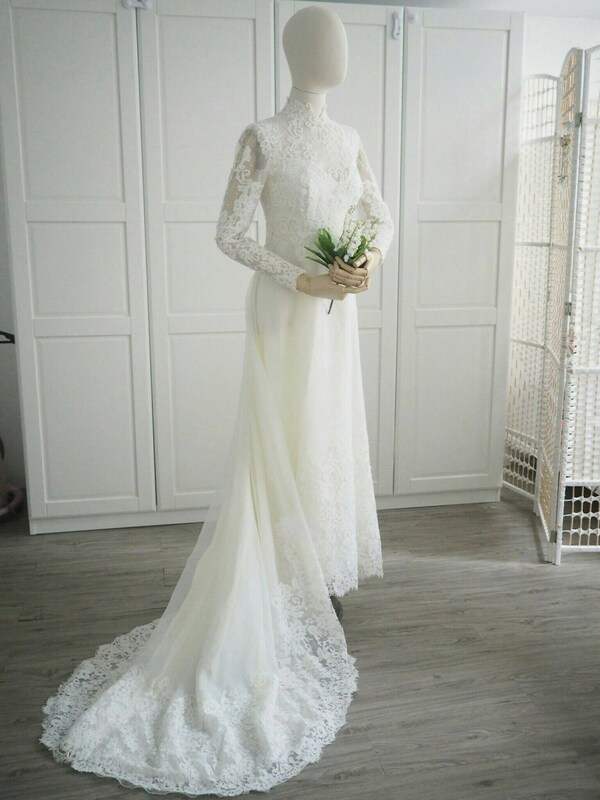 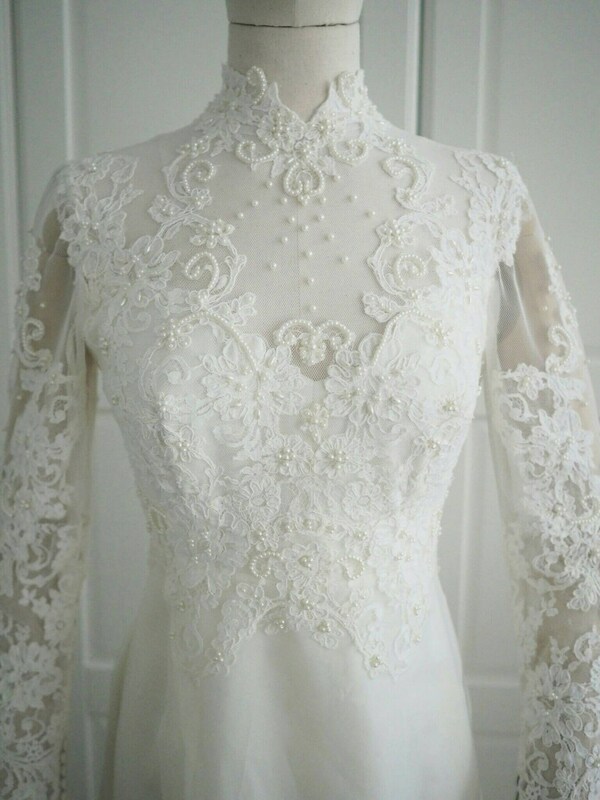 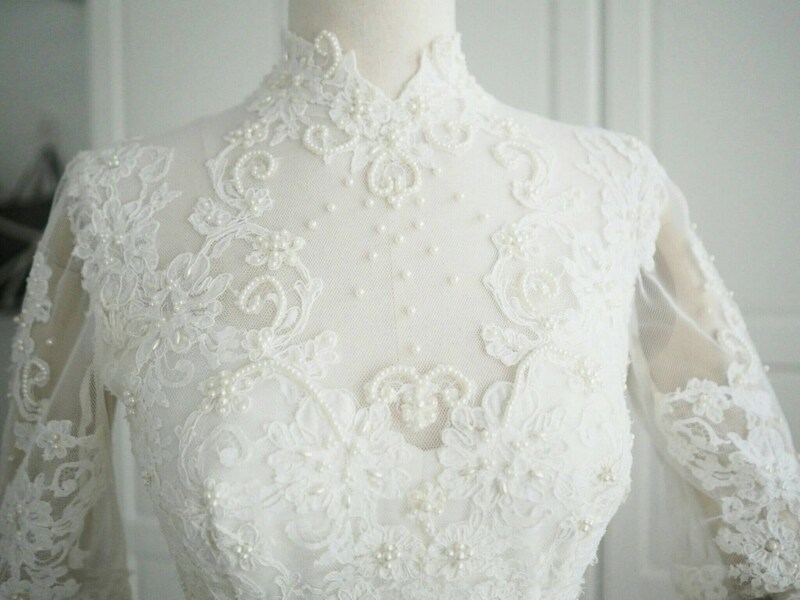 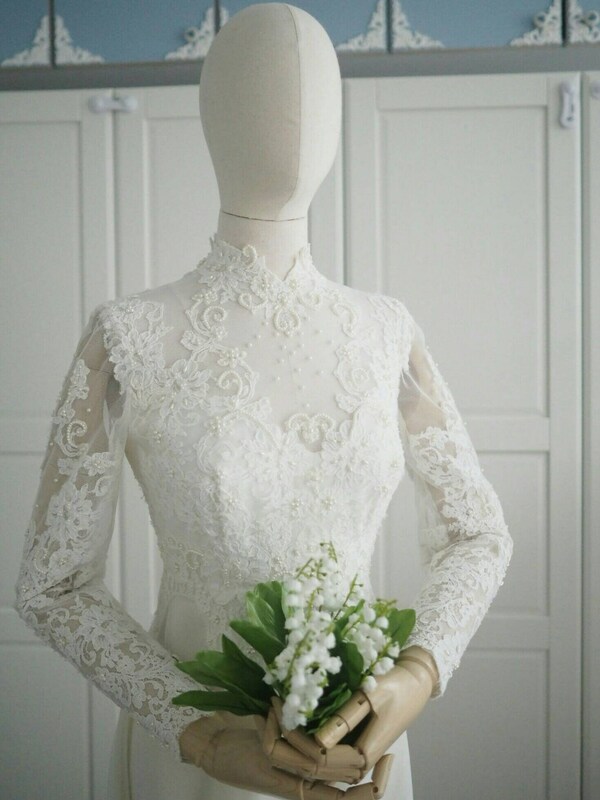 This is a vintage wedding dress with a hint of Grace Kelly inspiration. 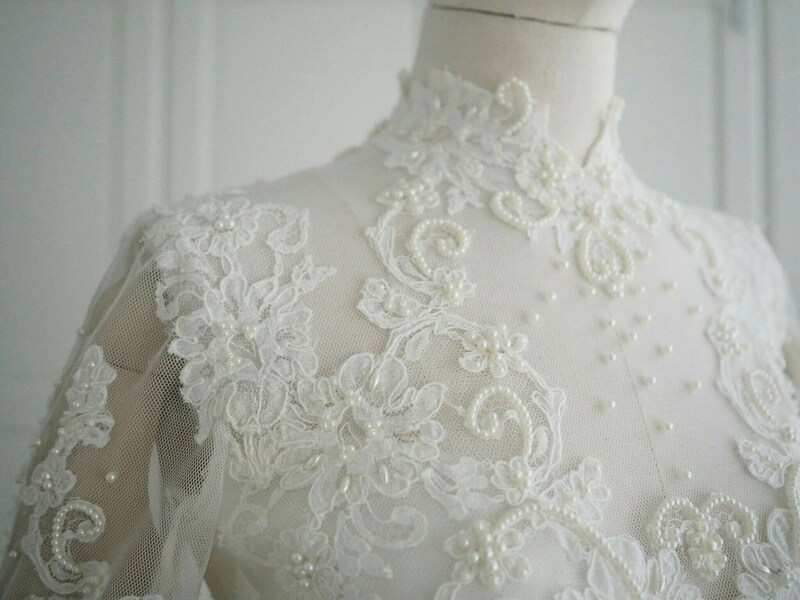 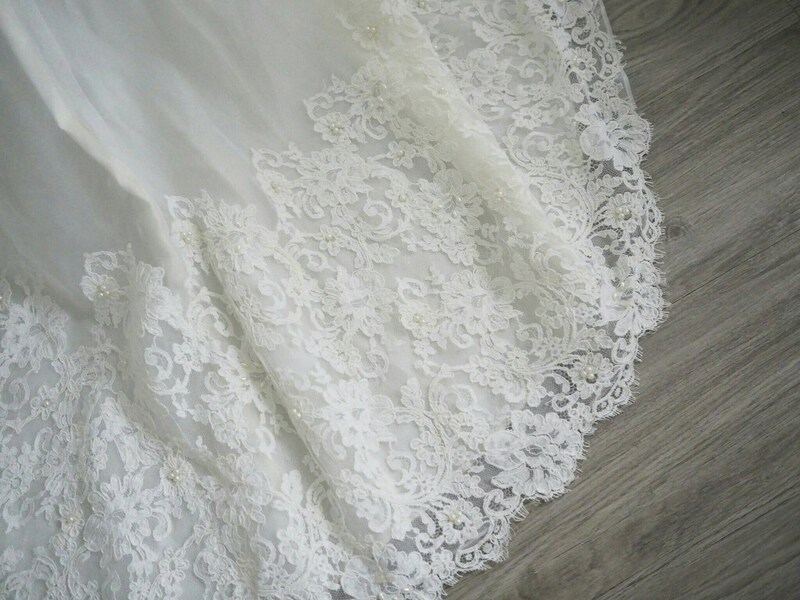 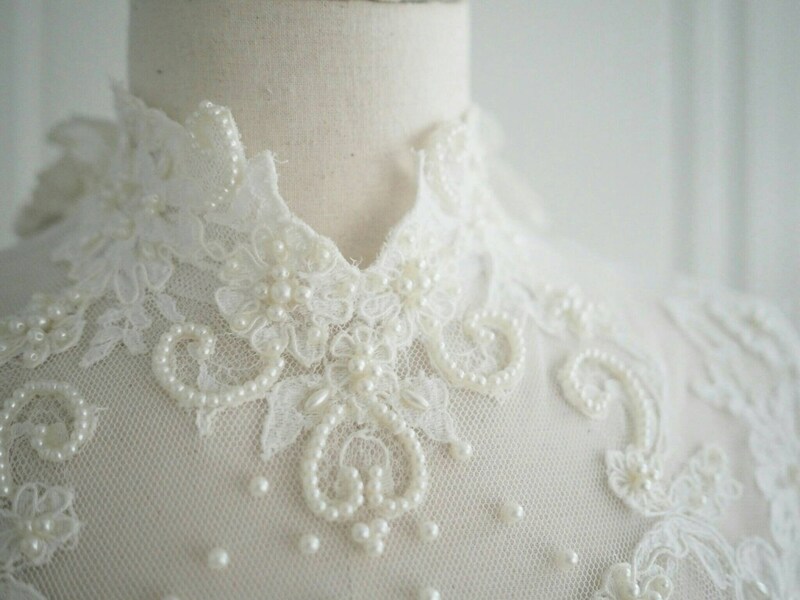 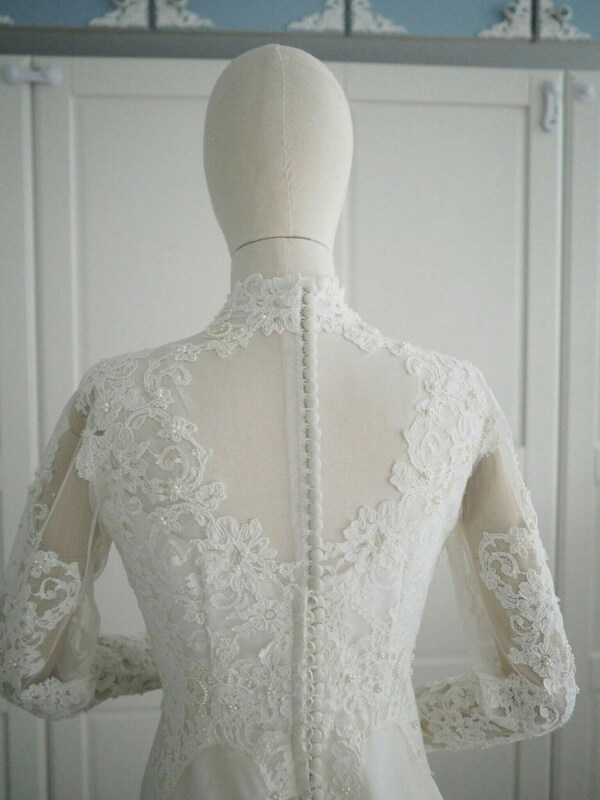 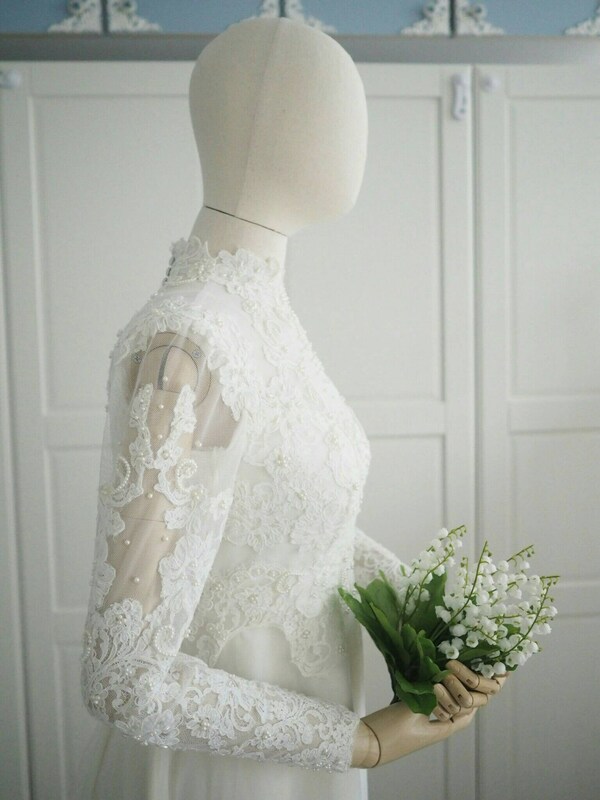 Covered with beautiful lace and pearl beading, with a lace train and 30 delicately covered buttons for back closure. 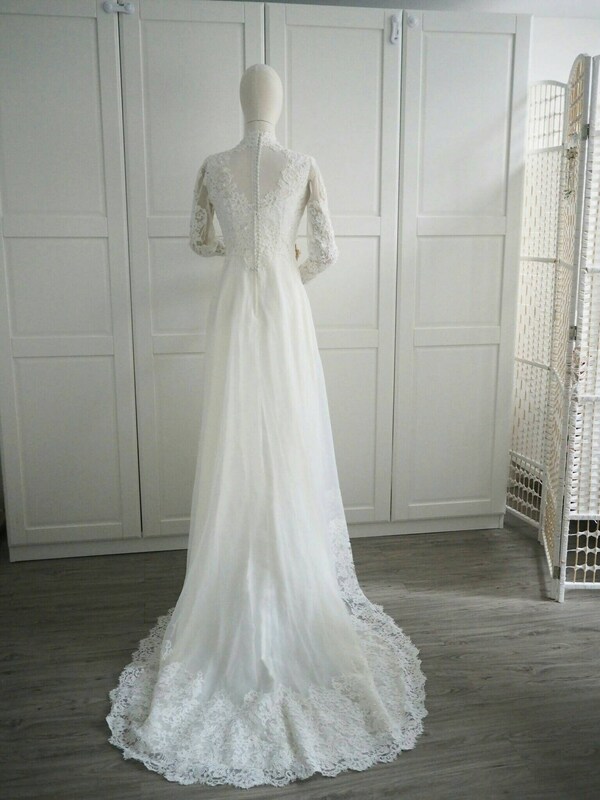 Length of dress: front 52" back 80"